I’m not much of a sleeper these days, although not really on account of anything medical. Rather it’s when I’m lying in bed at night, and the house is perfectly quiet, that my characters start having conversations with each other…in my head. Last night was a late one too – or should I say ‘early’? – however I can’t lay that on them. This time I was thinking about my next blog post. I’ve been missing in action on that front for a little while simply because I went on leave, made my way to the couch, and have pretty much stayed there for the past two weeks, buried under a mountain of Cheezels. Back in action this morning, I sat down to write a post about the seasons – autumn is a particularly good one for us authors because nothing lends itself more to creative hibernation than looking out at crisp mornings and gardens full of pretty leaf fall. But I digress. I’ve recently started the conversion process for Culúa: My Other Life In Mexico so that it can be turned into an e-book, and thought about spending some time working on it before writing my post. So that’s what I did. For hours. I didn’t get through all of it – I’m still only up to page 27 – but enough to get me thinking about an entirely different post to the one I had planned. The problem is, it has been over a decade since it was published so I no longer have a saved manuscript in either paper or digital format. As a result, I had to pull the actual book apart, get it scanned to pdf – hello, lovely people at Officeworks; love your work! – and then get it converted into an editable word document. Well, this all sounds rather complicated, I hear you say. Bear with me, it gets better. That’s where I’m at right now. It’s a fairly time-consuming task which involves doing a line-by-line read through, mostly to get rid of the bendy arrows that have appeared at the end of EVERY line, and to put back occasional missing words. At the same time, I get to re-read the book I wrote in 2003. Well, I’m reading the work of a younger and, let’s face it, slightly stupider me, but it’s not half as traumatic as I thought it would be. Admittedly, I read the prologue and thought, “That’s a lot of whingeing, you whinger!” but it got better after that. (Bear that in mind when you read the opening chapter.) The whole premise of the book, as a search for identity, was to show how far I’d come from my initial aversion to my mother’s country to embracing it so wholeheartedly it became a part of me. It was also really strange to read back on a time when I didn’t speak Spanish – I simply cannot remember not being able to speak the language which, I suppose, is another example of how far I’ve come. In any case, what struck me most was the whole fish-out-of-water scenario, and how grateful I am that I had the opportunity to go there and fall utterly and completely in love with this magnificent country. 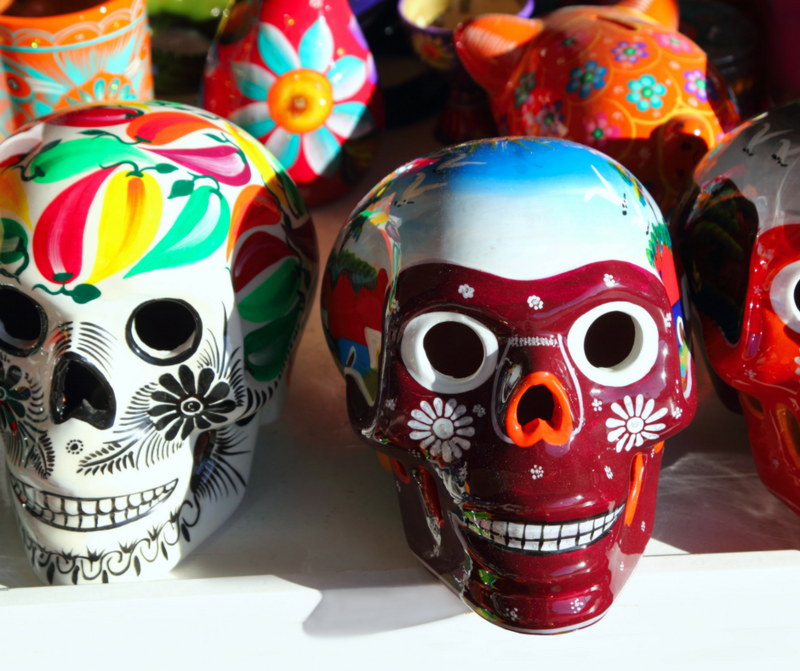 I owe everything to Mexico: my family, the language, the people, friends, food, Mariachi music, skulls made of sugar (I could go on but I should probably stop now.) Not the very least, my career. Without it I would never have written Culúa: My Other Life In Mexico, nor The Bay of Shadows, which took those bonds of family and turned them into something new. And now Under Ten Thousand Stars, currently in the editing stages. It was supposed to be a post about autumn, and I will get to that one at some point, but today I went with my instinct instead. Just like the day I decided to buy myself a one-way ticket to Mexico City to "have a look around". It changed my life. It changed everything. And on that note I’d better get back to my editing while I put on a little bit of mariachi music in the background.